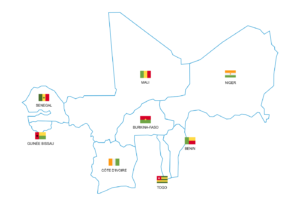 They are Benin, Burkina Faso, Ivory Coast, Mali, Niger, Senegal and Togo. States. May 2, 1997, Guinea-Bissau became the 8 th member State of the Union. Click on the country of your choice to access its economic information and latest issuances.